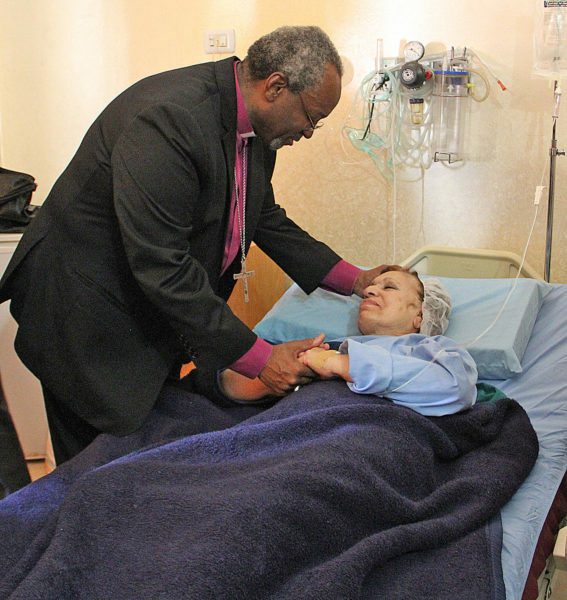 That sentiment is echoed in all 10 medical missions and 17 educational ministries of the Episcopal Diocese of Jerusalem, Presiding Bishop Michael Curry and his group learned March 27 as they visited three of those locations. 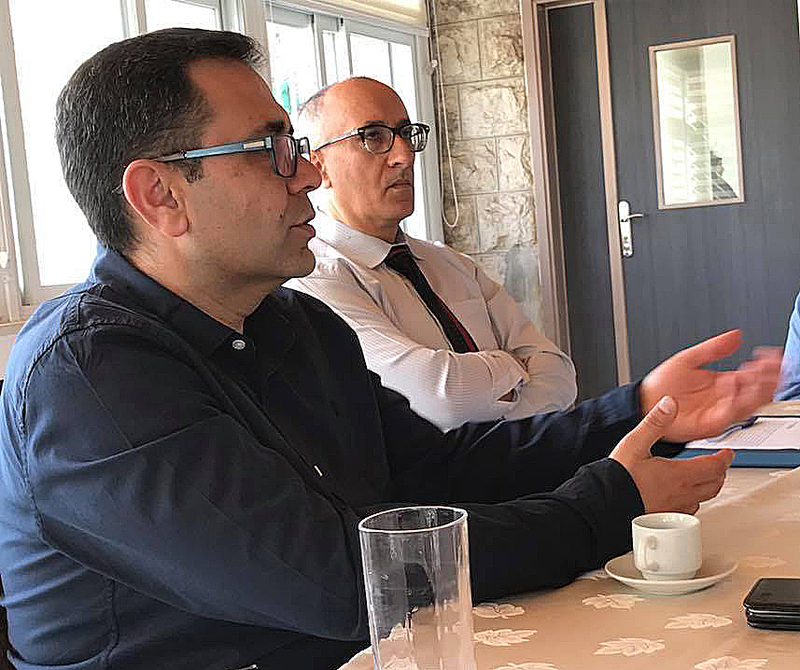 The day began at the Jerusalem Princess Basma Center, on the Mount of Olives in East Jerusalem, which works to empower children with disabilities and their families and help them integrate into the wide society. The center concentrates on physical rehabilitation but also works on certain mental disabilities and tries to empower mothers to aid in their children’s rehabilitation. It is one of the four major rehabilitation centers in Palestine. Children from the West Bank and Gaza stay at the center with their mothers for two to three weeks of intensive therapy, while those from Jerusalem come for daily sessions. Mothers become “shadow therapists,” learning how to help their children, and they leave the center with an individual care plan, according to Ibrahim Faltas, general director. 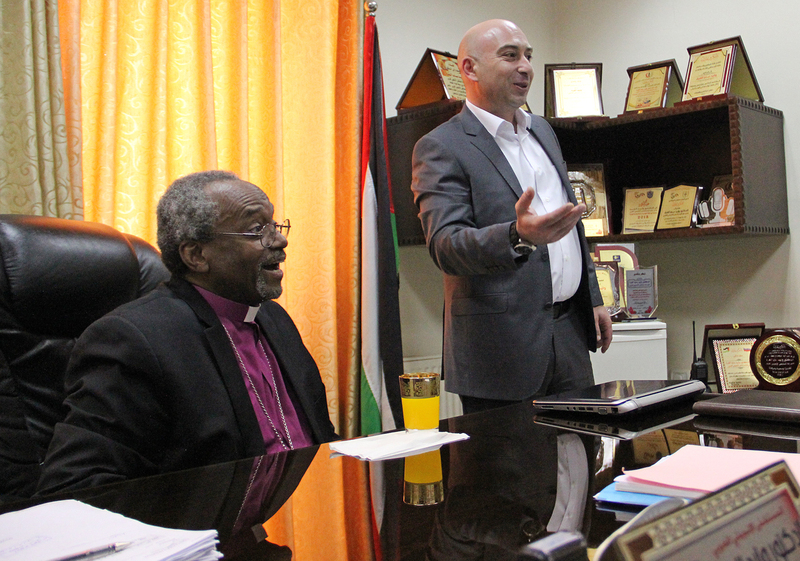 The Episcopal Church’s United Thank Offering and the Islamic Development Bank paid for the renovation of the Child Rehabilitation Department. “We keep them here as little time as possible,” Faltas said, explaining that the center’s goal is to help children return to their communities. Of the 423 children who were treated last year, only nine came from Gaza. Moreover, children in the West Bank cannot reach the center because of the Israeli government’s separation barrier, as well as the lack of money to cover the travel costs. Thus, a multidisciplinary team from the center visits 15 day care and smaller rehabilitation centers all over the West Bank about 60 times a year. More than 1,000 children are seen annually. The team also trains local practitioners. The center also has an autism unit doing pioneering work in multisensory and musical therapy, an attention deficit hyperactivity disorder program and vocational training for adults. The center runs a school for Jerusalem children in kindergarten through grade 12 that includes both able-bodied students and those with disabilities. The center calls it an “inclusive school” because, while some children receive therapy due to their disabilities, most of the students attend academic classes together. Current enrollment stands at 469, with 151 of those students having some sort of physical, mental or learning disability. “This is miracle work,” Curry told staff members during his visit. Not only are the reimbursement formulas not high enough, but the Palestinian Authority does not have the money to make timely payments, in part because the United States has not made good on its promised money, so the center has a cash-flow deficit of about $1.2 million, he said. That amounts to about four months of operating revenue. Over the years, the diocese has taken on what Faltas called the “heavy burden” of helping cover the financial gap. There is a hope, he said, that the center can form enough new partnerships to reduce its annual fundraising needs to 15 percent of its budget instead of the current 30 percent. Providing care to all who need it is also part of the mission of St. Luke’s Hospital in Nablus, the largest city in the West Bank. St. Luke’s connects its original building dating to 1900 with a 53-bed, six-story hospital building with three operating rooms. Cardiac surgery is the only sort of medicine not practiced at the hospital because, according to public relations director Salwa Khoury, a nearby hospital performs that work. St. Luke’s has a reputation as a major neurosurgery center, so much so that surgeons in 2015 managed to extract a bullet from the spine of a Palestinian man after hospitals in Jerusalem refused to perform the risky operation, she said. The man had been shot three times in the back during the Israeli–Palestinian conflict that erupted in late 2015. The hospital, which has pre-1900 roots in two tents set up in the area by Church Mission Society members, also has a bustling emergency room and maternity ward. About 600 people come to the ER each month, according to medical director Walid Kerry. Two hundred and eighty babies are born in an average year. 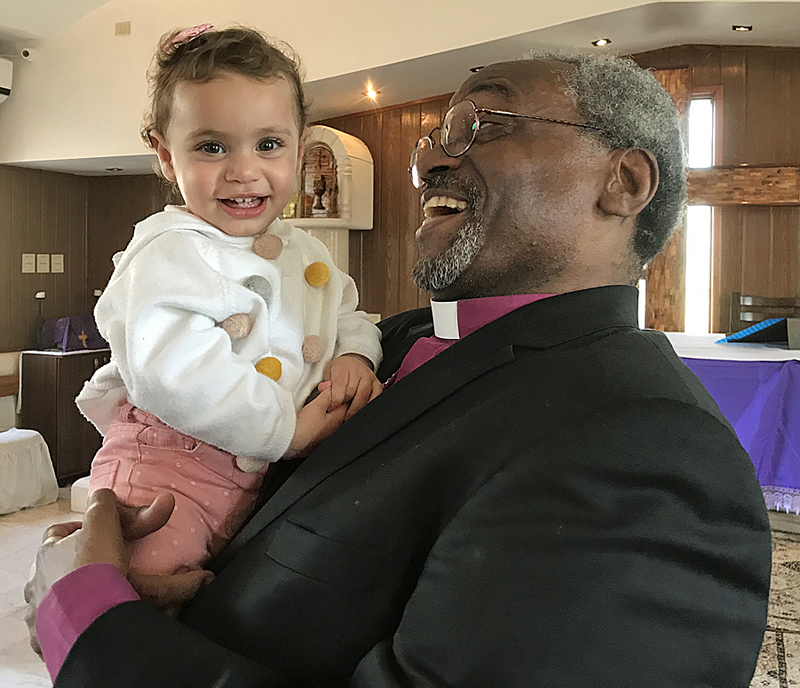 Five babies were born that morning before the presiding bishop arrived, and more were expected that afternoon. As Curry and others gathered outside for a photo at the end of the visit, a group of men swung a car up to the front door and beckoned for workers to come help a pregnant woman. While the hospital struggles with outdated equipment and other issues, no one is refused care because they cannot pay. Outreach to the surrounding countryside is also part of St. Luke’s mission. It helps pay for the cost of running the Penman Clinic in the space underneath St. Matthew’s in Zababdeh. The clinic draws patients from 14 surrounding villages. “They like to come to our clinic because they see a different kind of care,” Dawani said. The vicar hopes the clinic, which sees 400 to 500 patients a month, will eventually grow into a hospital. The clinic is part of a lively church that, with 275 members, is bursting at the seams. The diocese has bought land nearby, which could become the site of a bigger church and that longed-for hospital. There are many young families in the area and many babies being born. They are attracted to St. Matthew’s, Dawani said, because of its ministry to children, teenagers and youth ages 17 to 22. 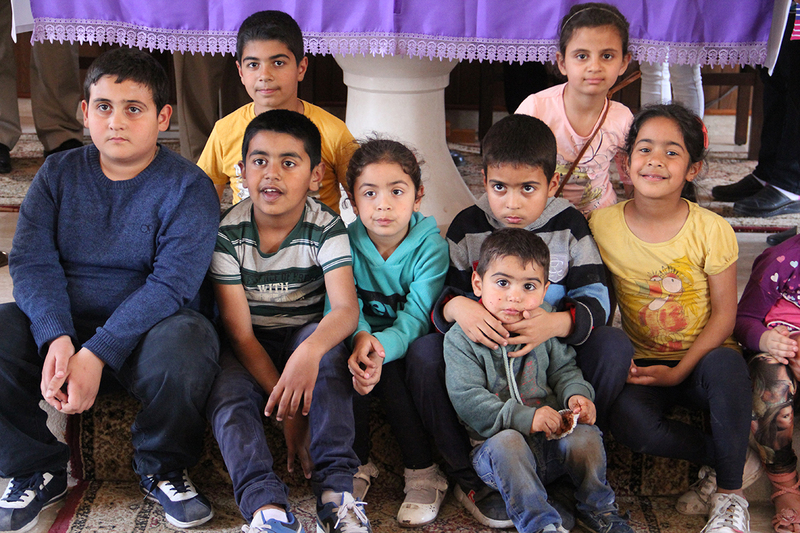 Zababdeh’s 6,000 residents are roughly two-thirds Christians and a third Muslim. “We live together in peace,” the vicar said. Curry was in the fourth day of a Holy Week pilgrimage to the Holy Land. Previous ENS coverage of his travels can be found here.